New for 2018 the BMW M5 has 4 wheel drive for the first time ever. A button can be pushed if one wants to switch to rear wheel drive only. The engine is a beast with 600 horsepower and 553 ft. pounds of torque. 0 to 60 happens in a blistering 2.8 seconds. Price as tested by Road & Track is $127,295. The engine is a beast with 600 horsepower and 553 ft. pounds of torque. 0 to 60 happens in a blistering 2.8 seconds. Price as tested by Road & Track is $127,295. Does the vehicle arrive with its own personal chiropractor and/or neck braces? * 2.8 seconds is more allot more than fast. Does it have no indicators (turn signals) like all BMW’s? Does the vehicle come with its own personal chiropractor* or neck brace? The song noted though has nothing do with powerful cars. You may need a chiropractor driving this thing! The R&T reviewer referred to the engine as a hammer. I bought myself this for Xmas. 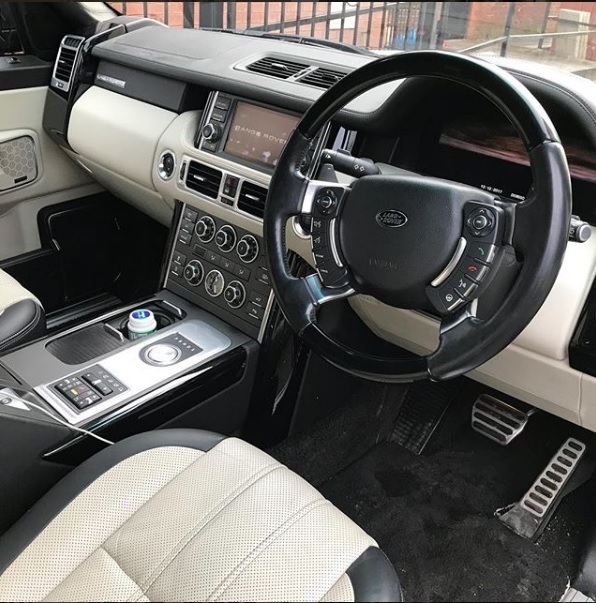 Range Rover 4.4TDV8 Autobiography Black (special anniversary edition) - the best spec they made; 5 cameras, deployable sidesteps etc. Significantly cooler than any BMW. Wifey copped for the Range Rover Sport I had already. Very nice, except the steering wheel is on the wrong side. Were I suddenly flush would still go for the BMW. When you've had both left and right hand drive as I have, and driven on both sides of the road, your brain adapts and after awhile you dont notice or care either way. LHD driving on the right or RHD driving on the left is an easy transfer for the brain - like a mirror. RHD on the right (as with us visiting Europe - as I was all last week) after a while becomes a normal thing too. I've done all variations for so many years now that I'm not really bothered what side of the car or road I am on. My wife, from a LHD country originally, says she prefers RHD and the left side of the road now. She was nervous last year driving her Dad's car in Russia because it was the *wrong* side of the road for her now. Ta. My daughter is more thrilled as she can watch TV on the way to school - big novelty. And watch DVDs in the back on long trips. I've had a lot of good spec cars but I've never had one with this many toys and gadgets. Remote start and warm up? Heated steering wheel? (handy today as it was -8) Phone chargers? ipod docks? Remote control and bluetooth headphones for the rear screens? It's more like a first class cabin in a nice airline. Amazingly, being a Range Rover, it all works (famous last words). Nothing has fell off or conked out yet. Best thing is though, it goes like an effing train! At $127k? (£92k). You could buy a 2016, 3k mile, Bentley Flying Spur 4.0 V8 Sedan for that money. Anyway, you cant buy German or British. Doesn't Trump say you have to buy a Chevy or a Buick or something to "Make America Great Again"?